Ok ladies, put on your sunglasses! I know that recently I posted a card with really bright colors and mentioned that I wasn't really a bright colors person but sometimes the very bright and bold colors are just what you need. LOL! I several years ago I started using sketch books, I would jot something down every now and then but over the last two years I have been doing sketches, jotting down little notes and filling the pockets almost daily. I have found that I am getting to the point in life where if I don't write it down I won't remember it. I'm sure some of you can relate. *wink* I have also found that sometimes my sketch books can get lost in the mix of things so I thought if I make it bright and bold then surely I can't miss it! Here's one of my sketch books that I recently personalized and altered. 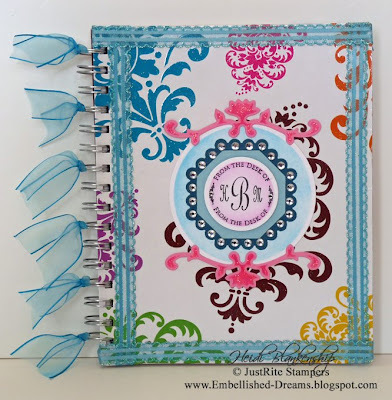 To personalize my sketch book I used JustRite Stampers, From the Desk of border stamp and added my initials using the Special Occasions Uppercase Font Set. 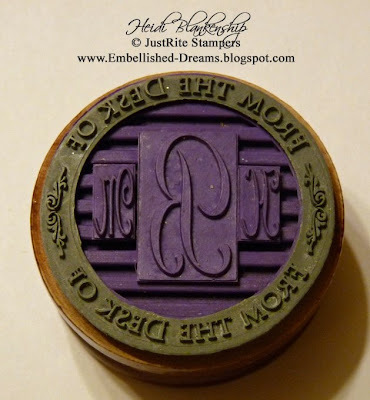 Here's a picture of the 1 -5/8 Harmony Classic Circle Stamper with the border and fonts. First I stamped the sentiment and then I used the Lg. Standard Circle Nestabilities S4-114 die template to cut and emboss. Before I removed the cardstock from the die template I used a cotton ball with a little of ink to shade the inside of the diecut. I didn't want my little circle diecut to get lost on the page so I used the the Lg. Octagon S4-185, Lg. Scalloped Octagon S4-187 and Lg. Standard Circles S4-114 die templates from Spellbinders to make a mat behind it. Then I used one of the die templates from the Floral Accents S4-199 die template set to accent the top and bottom of the mat. I think the Floral Accents match the flourishes in the background very nicely. Thanks so much for stopping by today and I hope you are having a wonderful weekend! If you are looking for ideas and inspirations please be sure to check out the JustRite gallery! Also just as a little reminder note all of the NEW JustRite products can be seen HERE and you can also do pre-orders! I am so excited and happy to announce that I made the Spellbinders 2009-2010 Design Team!! 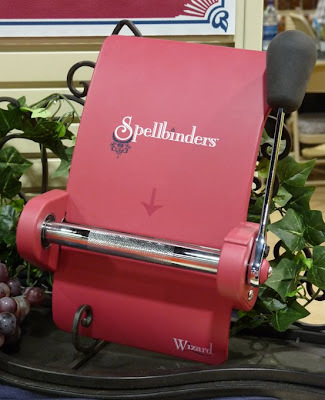 I am looking forward to another wonderful year of working with Spellbinders, they truly are an Amazing company!! 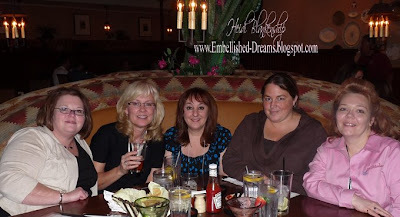 Have you seen the list of all the wonderful and extremely talented ladies who are going to be on the 2009-2010 Spellbinders Design Team? If not you can check it out HERE. I can't wait for our retreat in April and to be able to meet all of the ladies in person! I would love to share with you the card that I made for my final project in trying out for the Spellbinders DT. 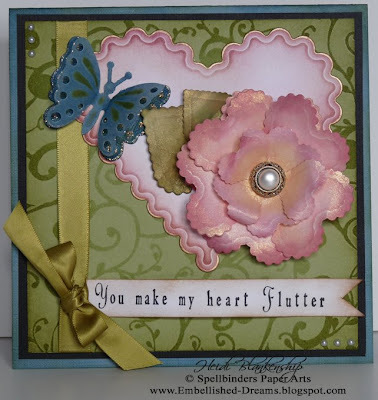 All of us in the top 24 were sent two sets of die templates Classic Scalloped Heart Nestabilities S4-137 and the Reflections Butterflies S3-038 . We were asked to use these dies on our final project and we could make a card or a LO. Here is the card that I made. How do you like the pretty little flower? I used the Scalloped Heart diecuts as petals and made a flower with a couple of leaves. I used several different colors of ink for the flower and leaves (listed below) and used a skewer to curl the petals. Then once the flower was assembled I lightly misted it with Glimmer Mist. 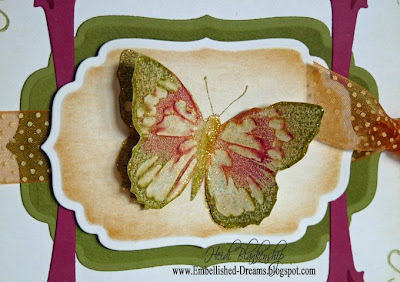 I also used both of the diecuts for the butterfly. On the bottom one I did the reverse stencil technique using cardstock and the top butterfly is vellum. I also added a little diamond stickles for some sparkle. The designer paper is from Chatter Box and I love it! The paper is flocked and I think it looks so pretty. I inked the edges just to make the flocked part pop even a little more. I made the banner at the bottom and for the sentiment I used the Special Occasion Font set and the NEW Times New Roman Lowercase font set along with my Harmony Rectangular Wood Stamper from JustRite Stampers. I just love using the new lowercase font set, it opens up so many more possibilities! I also added some ribbon with a little bow and a few tiny pearls in the corners. Thanks so much for stopping by today and letting me share my good news with all of you! I am hoping some of the other ladies post their final projects, I would love to see what they did with the hearts and butterflies! It's always a lot of fun to see what people come up with using the same die templates. 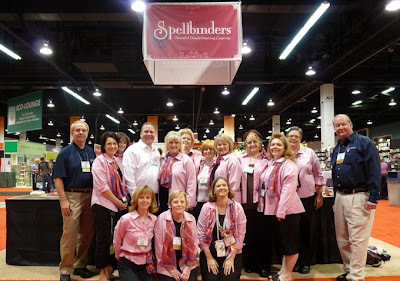 Congratulations to all of the 2009-2010 Spellbinders Design Team!! I know Valentine's day is over but I wanted to share with you the card that I made for my husband. Sometimes it can be hard to make cards for men and not have them look too pretty, especially Valentine's cards. I used a color combination of black, red and pink for his card. The way I look at it is, it's Valentine's and I think it's ok to use a little pink and have a little frill, just not over the top. Here is the card that I made for him. 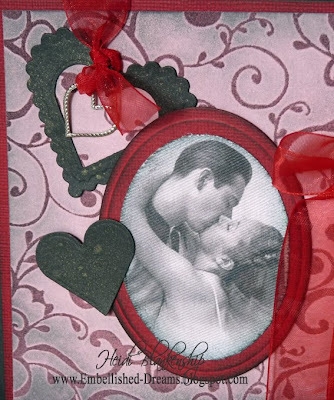 The image in the center of the man and woman is from the Romance Cotton Scraps from Crafty Secrets. 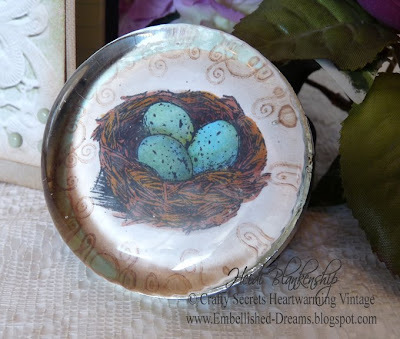 I used my Oval Nestabilities S4-110 from Spellbinders to cut out the image and then cut out another oval from cardstock for the mat behind the image. 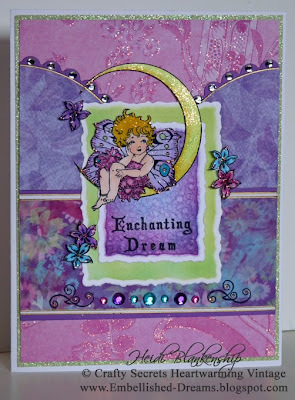 The designer paper (flocked pink swirls) is from Chatter Box and all of the other cardstock is from WolrdWin. The designer paper started out as a pretty soft pink and with a cotton ball I added black ink to the paper. It toned down the pink a little, made the flocked swirls pop and gave it a darker look. 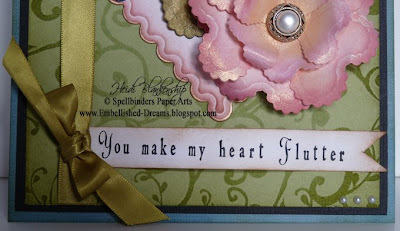 I also cut and embossed a couple of hearts using the Classic Heart S4-136 and the Scalloped Heart S4-137 die templates from Spellbinders. On the side I used a Martha punch and added black ink. To finish of the card I added a heart shaped charm, ribbon and a light mist of Iridescent Gold Glimmer Mist from Tattered Angles. Thank you so much for stopping by today & I hope you have a Fantastic Friday!! Wow! Two days in a row, can you believe it? And on top of that I did two challenges in one. I'm on a roll, I think the mojo is back! I want to tell you, Thanks so much for all of your wonderful comments on the card I posted yesterday for the color challenge!!! You sure know how to make a girl smile!! *wink* Thanks for stopping by and I hope you are having a wonderful day!! My 1st Color Challenge on SCS! I know a ton of people do the challenges at SCS and I keep telling myself I have to give them a try, so today I took a leap and did the color challenge! At first when I looked at the colors, I wasn't too sure about the whole thing. But then I thought this is a challenge, right? This is something to make you think a little out of the box or out of your comfort zone. The colors for today are Rose Red, Kiwi Kiss (or Old Olive) and More Mustard. I don't know that I would have ever put these colors together but once I started working on the card I was really liking the color combo. Here is my card for the Color Challenge. So what do you think? I don't have any of the Kiwi Kiss CS so I used the Old Olive. 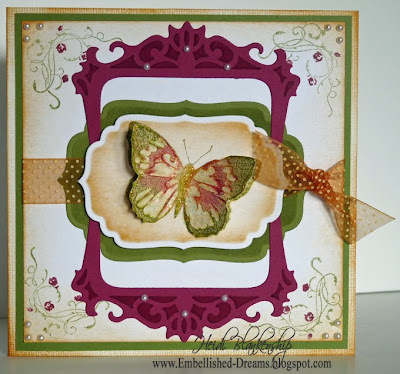 The butterfly stamp and the rose flourishes in the corner is from the All Occasion stamp set from Inkadinkado. I used the Wizard from Spellbinders along with the Labels Four S4-190 and Classic Frames S5-012 die templates to make all of the diecuts. Here is a close-up of the butterfly. To do the butterfly I inked the body with Old Olive, then took the brush tip of the Rose Red marker and made brush strokes coming out from the body. Then I inked the wings with More Mustard and for the final step I did the Rock-n-Roll technique using Old Olive. I did the butterfly twice, once on the diecut and one that I cut out and glue the body down on top of the other one. I also added a little diamond stickles to the butterfly. 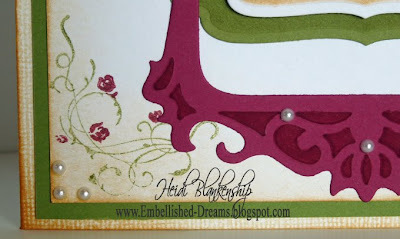 For some accents I also added tiny little pearls on the frame and in the corners of the card. Thanks so much for stopping by today! I had so much fun doing the color challenge, now I can't wait to see what the colors are for next week! Hope you have a Fantastic Day!! 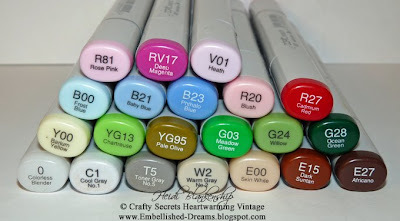 It's that time again for another Crafty Secrets Challenge! The ever so talented Vicki Chrisman, who is our design team leader gave us a challenge to create something for Spring. I think this challenge was just what I needed! I have been lacking a little in the mojo department but I think after this challenge it's back! 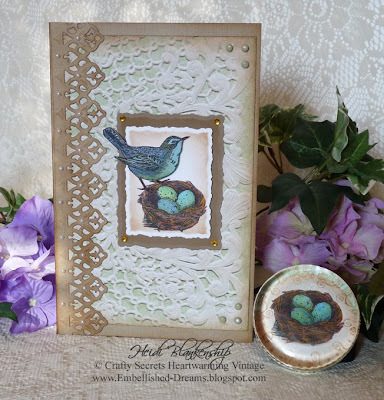 For the Spring Challenge I created a framed art piece, using the NEW Garden Girl stamp set. I absolutely love this set! The images are all so beautiful and the little girls are adorable. Here is a picture of the finished frame. 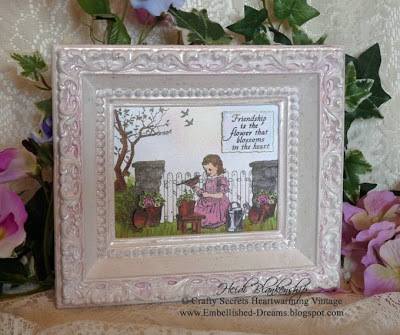 I used seven stamps from the Garden Girl set, six to create the scene and one for the sentiment. I did masking and layering, coloring with Copic markers and airbrushing to achieve this look. I also stamped, colored and cut out the flower pots and the watering can and added foam tape behind them to add some dimension. 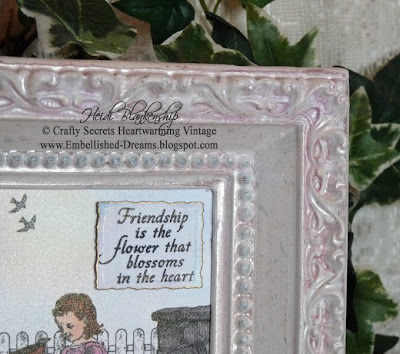 The sentiment was stamped first and then cut out with a Small Deckled Rectangle S4-201 die template from Spellbinders. I airbrushed around the edges using Copic markers, then added a thin line of gold with a gold leafing pen and added foam tape to the back of the sentiment for added dimension. After I had all of the coloring done I lightly misted the entire piece with Iridescent Gold Glimmer Mist from Tattered Angels. I love the shimmer it adds! As far as the frame this was a find from a local thrift shop. I love going to the thrift shops to find things to alter. Originally the frame was a cream color with gold specs. I only painted one coat of white paint and when that was dry I used several colors of Glimmer Mist on the frame to achieve the look I was wanting. It was so much fun working with all of the Spring colors again! I can't wait to hang this little picture up! 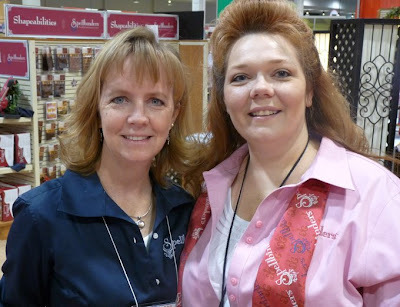 Be sure to stop by all of the blog for the ladies of the Crafty Secrets Design Team! I know I can't wait to see what they have created! 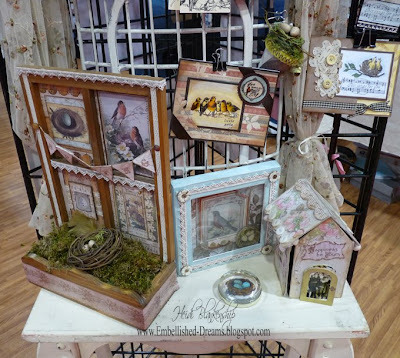 Also don't forget to check out the Crafty Secrets gallery and Blog, they are both filled with beautiful inspiration!! Hope you have a great President's Day! 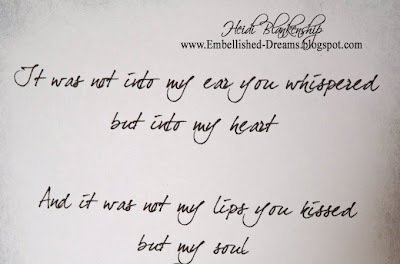 Ok I am finally getting around to doing another post, sorry I am running behind and have been MIA! I have been feeling a little under the weather this past week but I am hopeful that this next week will be better. 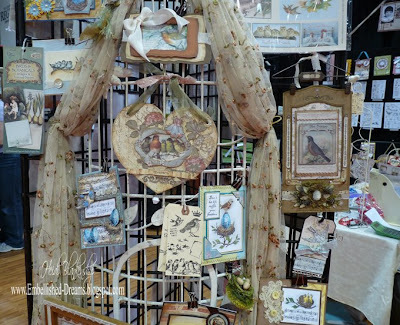 I have a few pictures to share with you from CHA of the Crafty Secrets booth. I took a few pictures on the first day and the booth was really busy so I thought I would take more later and I just never got around to it. So that's kind of a bummer but I do have a few to share. Here is the first one, this wall was full of soooo many beautiful cards!! Some of the new products. The birds are a favorite! And a few more projects with birds. Here is a picture from when we all went out for dinner one night. 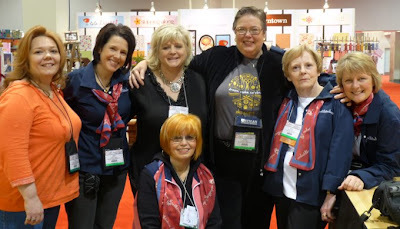 It was really nice to be able to spend some time with (L-->R) Vicki Chrisman, Sandy Redburn (Sandy is the owner of Crafty Secrets), Lisa Zappa, Anna Wight. These ladies are all so wonderful and amazingly talented!!! I also wanted to share this project with you that I took to CHA. 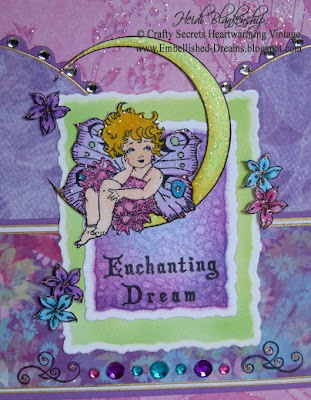 The stamps are from the NEW Fairyland Stamp Set from Crafty Secrets. 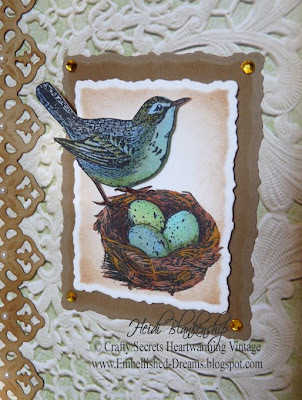 I love this little bird and the nest with eggs! I made the cover for the memo pad using WorldWin cardstock and my Scor Pal. I measured the memo pad and cut the cardstock slightly larger than the memo pad and allowed for some extra on the side for the fold. The designer paper I used for the front cover is from the Pastel Designer Paper Pad from Crafty Secrets and added brads in the two outside corners. Along the side I made a diecut using the NEW Grand 12'' Classic Lace Border (S7-014) from Spellbinders. I inked the edges of the lace diecut with Ranger Vintage Photo Distress Ink and then added tiny pearls. I made two diecuts using the NEW Small Deckled Rectangle Nestabilities (S4-201) from Spellbinders. On the larger one I sponged the inside with Ranger Vintage Photo Distress Ink. For the smaller one I stamped the image of the nest in the lower corner with Tsukineko, Memento Tuxedo Black ink and then colored the nest and eggs with Copic markers. Then I stamped the image of the bird with the same ink, colored it in with Copics and then cut out the image. 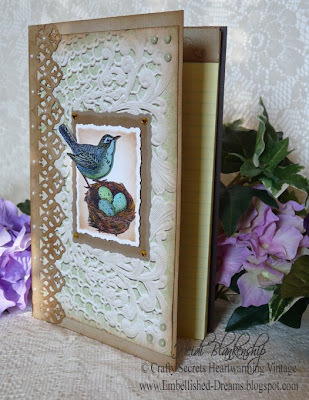 I used pop dots on the back of the smaller deckle rectangle and the bird. I also added a few golden rhinestones in the corners on the larger deckled rectangle. Here is a close up of the paper weight. I used one of the dies from the Large Standard Circles Nestabilities (S4-114) to make a diecut for the center of the paperweight. It fit perfectly!! I used all of the same supplies as mentioned above to do the paperweight. Thanks so much for stopping by today & I hope you are having a wonderful weekend! Hello! I'm back home after CHA and I'm just trying to get back into the groove of things again. WOW!!! What can I say, the CHA show was Amazing!! I love being able to reconnect with everyone and see all of the beautiful artwork in person. 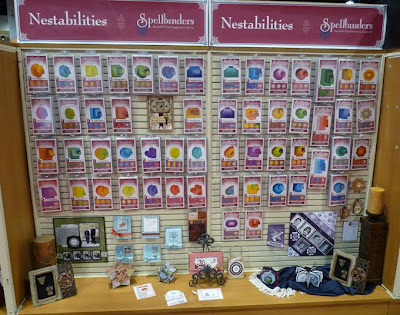 It was crazy busy at the Spellbinders booth with the release of all the NEW Die Templates and the Fabulous NEW IMPRESSABILITIES!!! 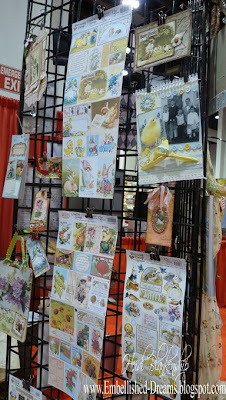 Everyone loved all of the new releases and the New Impressabilities are going to be a MUST HAVE for papercrafter!! 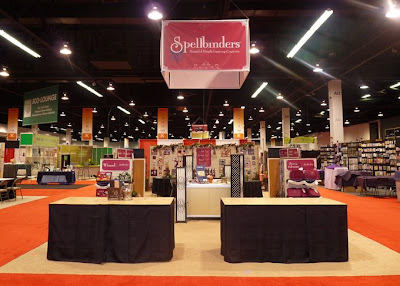 I have several pictures to share with you from the Spellbinders booth, so lets get started! Here we all are--pretty in pink! I love the new Pink, Raspberry and Blue colors!! 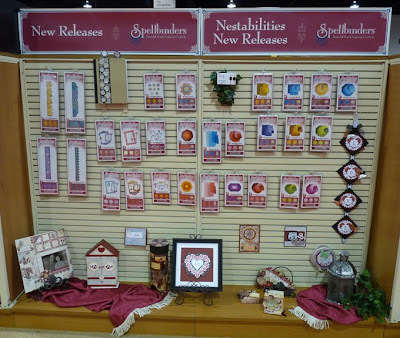 Here is the Spellbinders booth. Okay, now here is your tour of the booth. 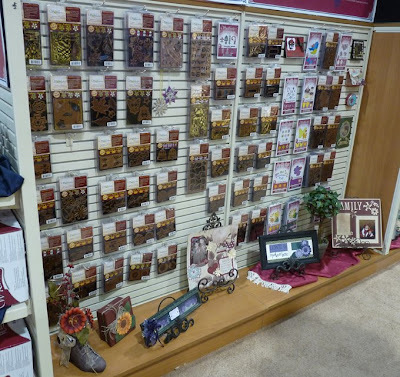 Take a LOOK at these, here is the NEW Storage system from Spellbinders. 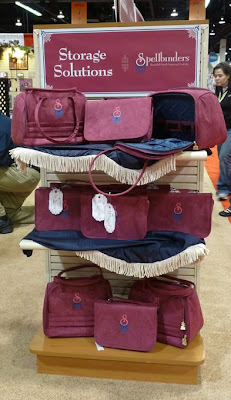 Are these carrying cases GORGEOUS or what!!! LOVE them!!!! The larger carrying case is for the Wizard and the smaller one is for your die templates. The case for the die templates has all different sized pockets for storing your die templates. Nestabilities!! Look at all of those!! Impressabilities--these were all the buzz at CHA!!! 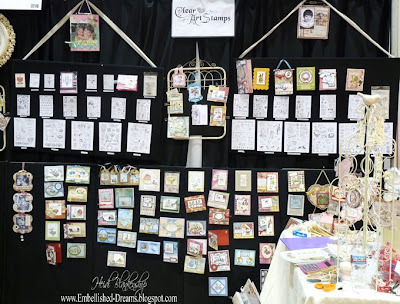 If you would like to find out more about the Impressabilities and see some close up pictures here's a link to the Spellbinders blog, Savvy Saturdays Impressabilities with Holly Craft. 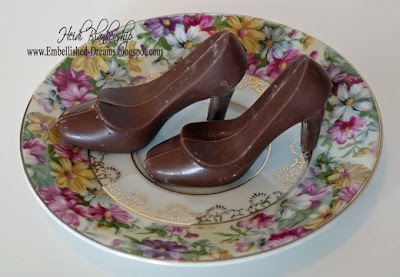 Also while were were at CHA Wendy Weixler did a step by step tutorial of the flower make-n-takes using the Impressabilities and she has lots of fun photos on her blog Wickedly Wonderful Creations. 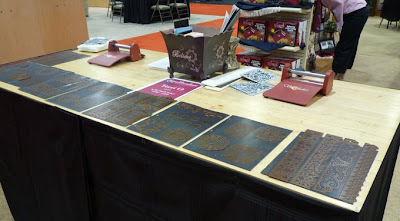 This is our demo table and all of the new die template releases. Here's all of the New releases in the beautiful new packaging! Here's some beautiful projects made with crafting foils. 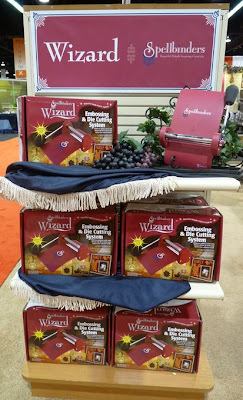 YES you can cut foil with the Wizard!!! How cool is that!! What fun!! 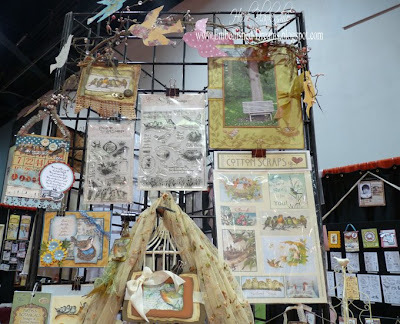 The talented Terri O spent some time at the Spellbinders booth with Stacey Caron who is also beautiful and amazingly talented and the Creative Director and Co-creator of the Wizard Universal Craft Tool and Spellbinders Die Templates!! Watching these two ladies demo together is Fantastic!! 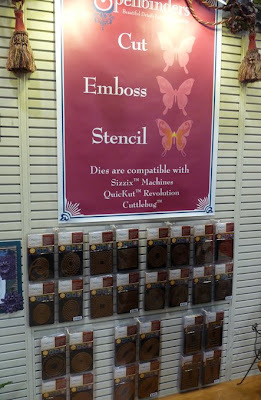 Spellbinders Die Templates. More die templates and beautiful artwork. And a few more. Check this out!! Here is the NEW Raspberry Wizard with the New Logo, an arrow showing which way to feed the mats into the machine and the Wizard logo. I love the new look!! 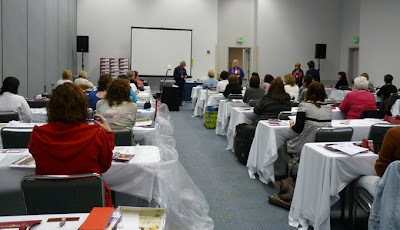 We also had a class during the week--it was SOLD OUT!! Woo-Hoo!! Here is a picture from the classroom. 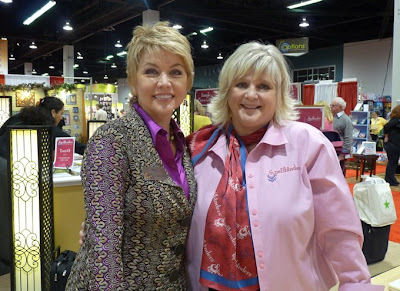 Here's a picture of Wendy and me at the Spellbinders booth. Wendy & I went to Disney while we were in Anaheim and had a BLAST!!! I will share some of those pictures with you in the next couple of days. I can officially say she has converted me!! Before we went I could take or leave Disney, it wasn't a huge deal for me and now I want to go back--I LOVE IT!!! I see a a family trip to Disney in the future!! Wendy, thanks for the FANTASTIC TIME at Disney and all of the laughs--Love ya sweetie!!! Here's a picture of a few of us from the last day of the show. It's too bad we don't all live closer!! I miss seeing everyone!! 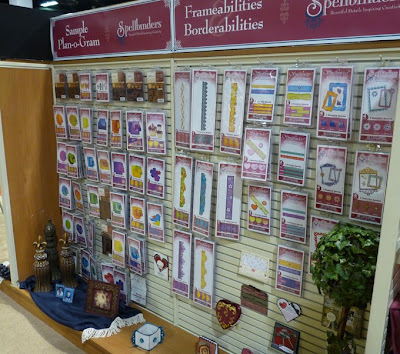 Well it was another Fantastic show at CHA and I hope you enjoyed the pictures from the Spellbinders booth! 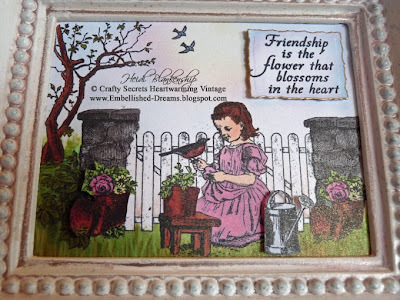 I have more pictures to share with you from Crafty Secrets and JustRite Stampers but I will try to space them out a little over the next couple of days. 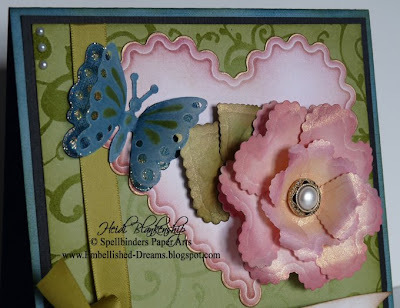 Also don't forget to check out the Spellbinders blog to see the latest updates, beautiful artwork and tutorials. I hope all is well with everyone and you are all staying warm! Thanks for stopping by and I hope you have a great day! !